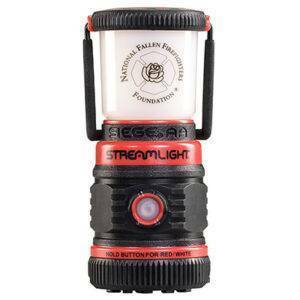 Provides a longer reaching beam that’s 10 times brighter than a high-intensity LED. Ergonomically shaped for maximum hand comfort. LED technology, with a 50,000 hour lifetime. 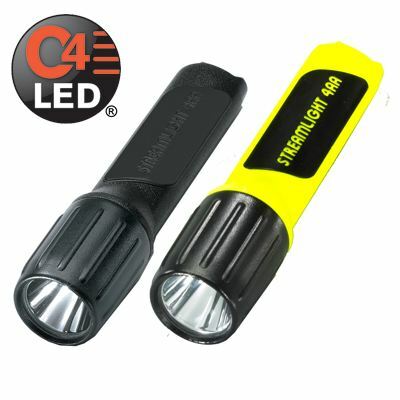 100 lumens typical; up to 4,200 candela peak beam intensity. Four “AA” size alkaline batteries. Rubber-booted, tailend, push-button tailswitch for onehanded operation. 6 hrs. with 4 hrs. of regulated run time with 2 hrs. of declining usable light. Deep parabolic beam generator produces long range brilliance and smooth uniform pattern. Solid state power regulation provides maximum light output throughout battery life.